DAVID LE/Staff photo. 3/5/15. 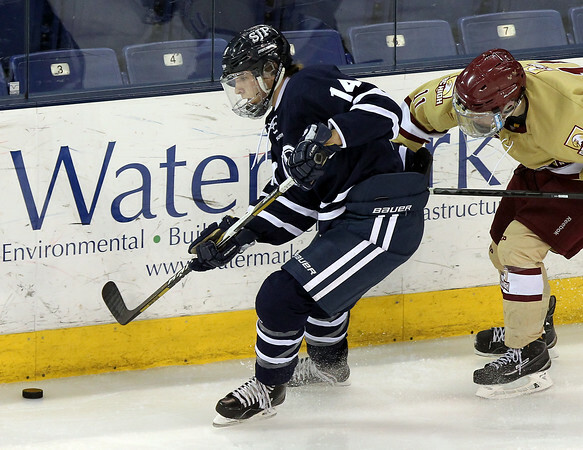 St. John's Prep junior Jeff Cowles (14) fends off pressure from BC High senior Jack Duffey (11).